About | The Stitchery | "You come in as a customer and you leave as family." 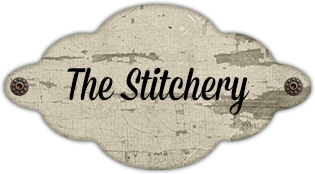 The Stitchery is owned and operated by sisters Nancy and Carrie. Our shop is the oldest quilt shop in Wisconsin and has been in our family for almost 40 years. We are located south of Delavan in a quaint country setting. We are a full service quilt shop with over 3000 bolts of fabrics from top designers and fabric companies, hundreds of books, and thousands of patterns to make quilts, purses, runners and many fun fabric projects. We carry Christmas and Fall fabrics year round so you can get a head start on next years projects. We have a large selection of baby fabrics, kits and patterns for your new little bundle of joy. We hope you can stop in and enjoy our friendly atmosphere. If you are ever in the area we would love to meet you. Our shop motto is "You come in as a customer and you leave as family."